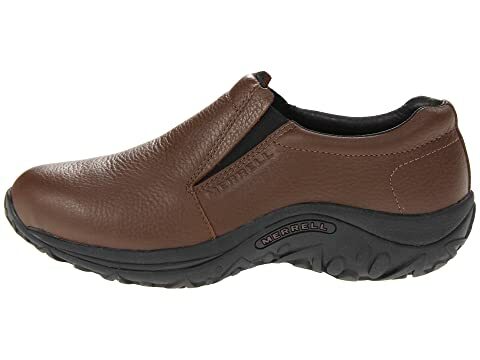 The Merrell® Jungle Moc Leather slip-on shoe offers comfortable underfoot support and reliable traction that makes it the ideal after-sport choice. 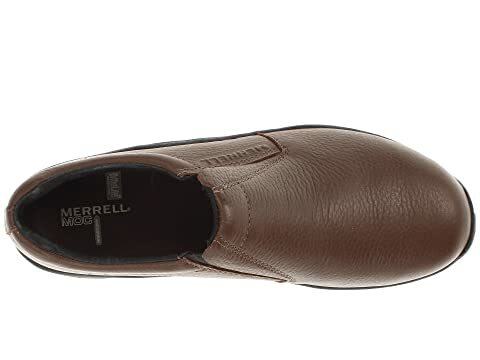 Please note that the Mahogany Brown and Midnight colors have different tread patterns on their outsoles. 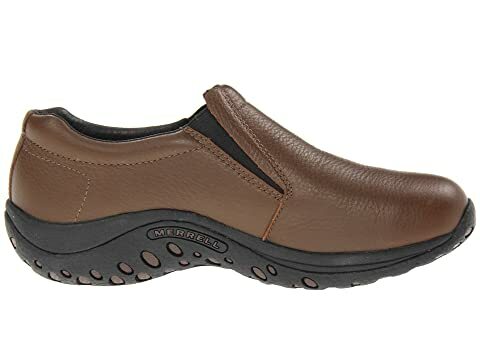 Slip-on shoe with side gore panels for easy on and off. 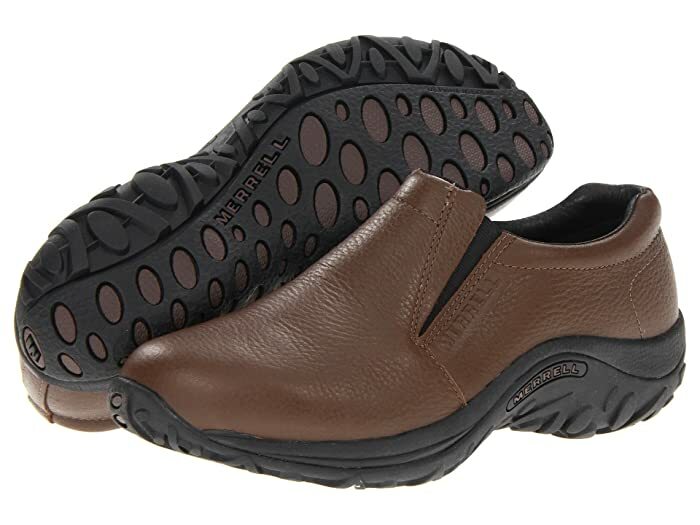 Pigskin lining treated with Aegis™ antimicrobial technology to keep your feet healthy and odor free. 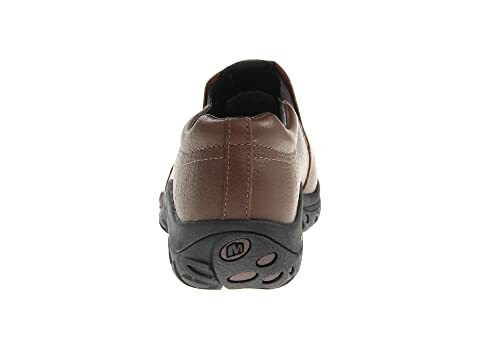 M Select™ FIT.ECO blended EVA contoured footbed with organic odor control for added underfoot comfort and a fresher foot environment. 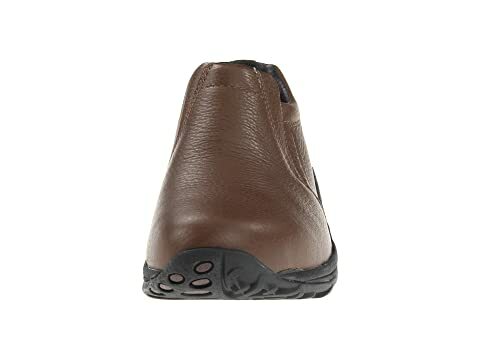 Air Cushion® midsole provides added underfoot support and shock absorption. 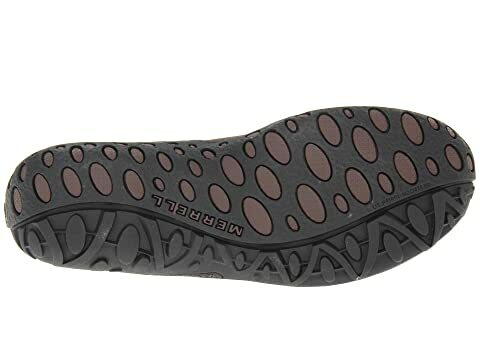 Durable M-Select GRIP outsole delivers reliable traction and slip resistance on wet and dry surfaces and over mixed terrain.